Everyone needs to do laundry, but few people really understand how to do it. Why is it that some people walk around with beautifully clean clothes all the time, while others have a continuous parade of spots and stains on their clothing? The difference is that those other people know how to do laundry. Don’t worry. This is something you can easily learn. Come on. I’ll show you right now. First, you need to separate your laundry into piles. Failure to do this could result in a completely pink wardrobe. If that’s what you want, be sure you evenly divide your red and pink clothes between all the other piles. Otherwise, put everything in its own pile. Sure, you’ll have 50 different piles with one item in each pile, but they won’t stain each other. It’s the only way to know for sure! Each pile of laundry should go in separately. Don’t try to mix and match, or you’ll be sorry. Or pink! Each load requires a little different treatment. To be safe, wash everything in cold water on medium soil. If you have bleach, pour it all over everything. If you have laundry detergent, pour that all over everything. Simple, no mess. If you have fabric softener, you’re probably rich enough that you don’t need to do your own laundry. Why are you reading this? Go jump in a pile of money. You can use fabric softener with every kind of clothing except towels. Fabric softener will turn your towels into houseplants and you’ll never get dry again. It will be like trying to dry off with … a houseplant. These are a waste of money, even when you buy them at the dollar store. They basically just end up clinging to hidden parts of your laundry until they miraculously reappear on the hem of your dress at your boss’s cocktail party. Don’t use them. If you do, you’ll just be swishing your dirty clothes around in dirty water, expecting them to get clean, which is a pretty insane idea, right? It’s better to break up a giant load into 15 smaller loads. Basically, that’s it. 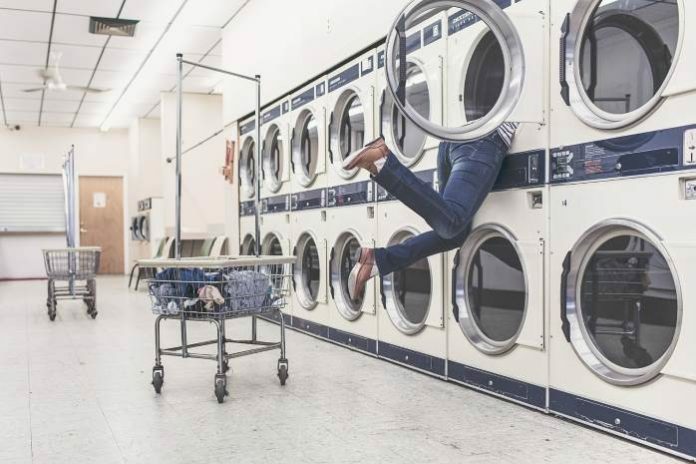 Doing laundry isn’t rocket science, but you can’t do rocket science, either, so it’s a good thing you read this. Previous articleWhat Does Your Hood Ornament Say About Your Personality? Next articleYou Should Never Go To Bed Without Doing ___________?